Wind Turbine Fasteners – Ships Worldwide. IN STOCK. Lightning Bolt has invested a significant amount of resources toward meeting the demanding needs of the US wind turbine market. As an OEM preferred supplier of wind turbine fasteners and components, Lightning Bolt stocks an immense amount of metric fasteners. This includes hard-to-find diameters such as M33, M36, M42, M48, M64 ISO 4014 / DIN 931 and ISO 4017 / DIN933 hex cap screws which are readily available. Such large metric bolts can be provided in many coatings such as Dacromet, Geomet, Doerken Delta MKS, Zn-flake / Zinc-flake, and Magni 565 to name a few. Class 10.9 and class 8.8 hex bolts are commonly used in the transportation of wind turbine components and are available for immediate shipment within Lightning Bolt’s inventory. In addition to ISO 4014 and ISO 4017 fasteners, we are also competitive on HV-sets, tower bolts, blade bolts, and additional transportation bolting/fittings. 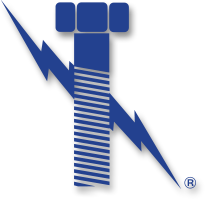 Regardless of your urgency, allow Lightning Bolt the opportunity to meet your fastener needs. What Are Our Wind Turbine Clients Saying About Our Services?